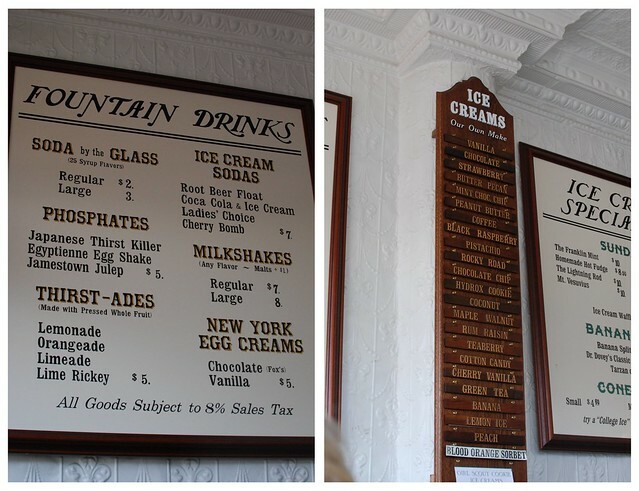 There are only three words to describe Franklin Fountain. I’m not kidding folks, they are really that good. 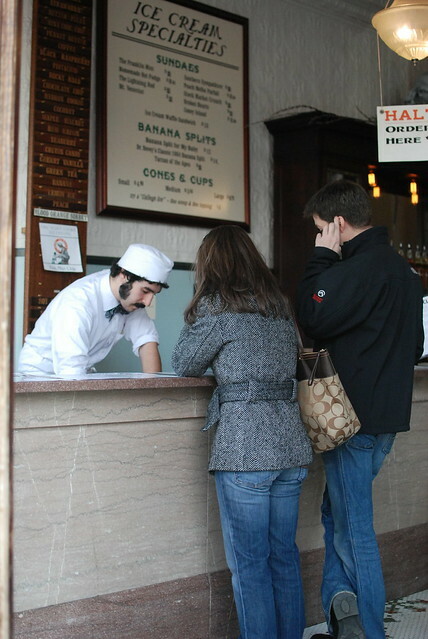 Franklin Fountain opened the summer of 2004 and since then has been serving homemade ice cream to the masses. They aim to serve an experience steeped in ideals, drizzled with drollery, and sprinkled with the forgotten flavors of the American past. It really is like stepping back to an era of soda shops! 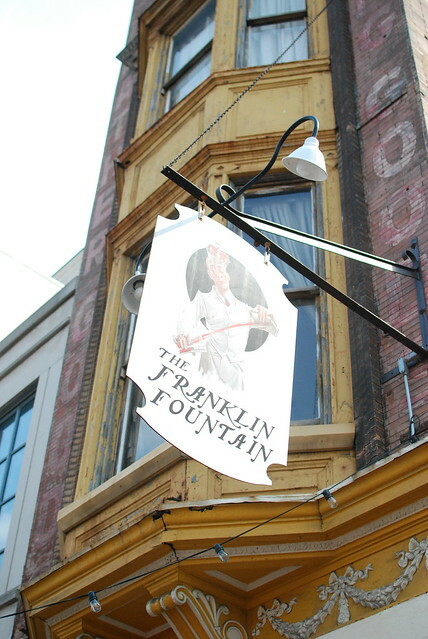 I admit, when I first found out we were getting the opportunity to stop by the Franklin Fountain, I had no idea what it was. A quick google search promptly showed me what I had been missing these past 7 years! 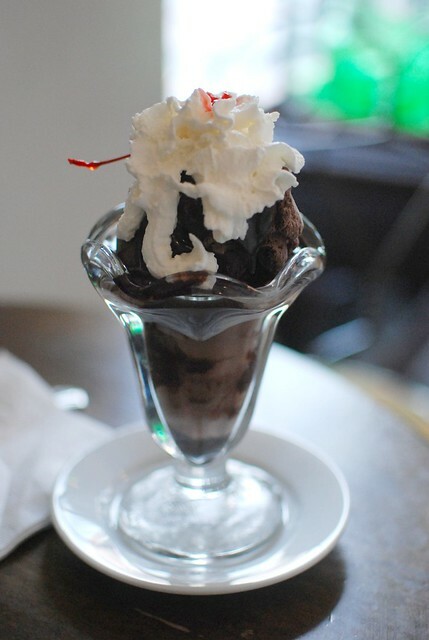 Pictures upon pictures of delicious sundaes and ice cream really hooked this pregnant momma in! The only bad thing about the whole visit was deciding on what to get?! There are just too many choices. We finally all decided to try something different so we could sample! We tried..
As soon as we were served our choices, it got very, very quiet. To say we enjoyed our sundaes is understatement! 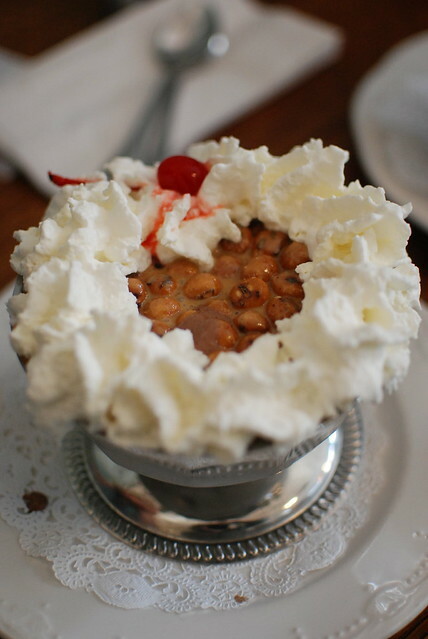 The next time you are in Philly, you have to add this to your must do list! We ran into a couple on their way to Baltimore who hopped off 95 just to stop in for the ice cream! It’s really that good. 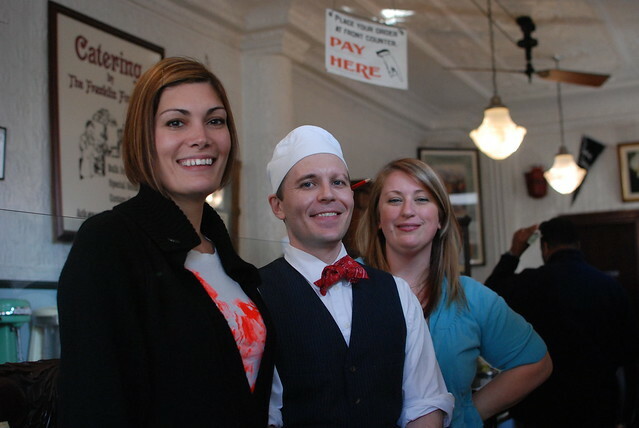 Franklin Fountain is open 7 days a week, 11-Midnight! Thanks so much to our host, Grant, for our delicious treat! 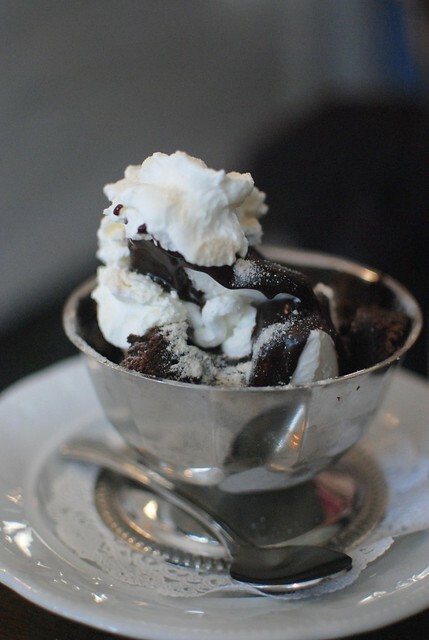 Disclaimer: We were invited to taste the best ice cream in Philadelphia by Franklin Fountain. The opinions are 100% mine. Just ask my happy belly! Wow, thanks for sharing this! 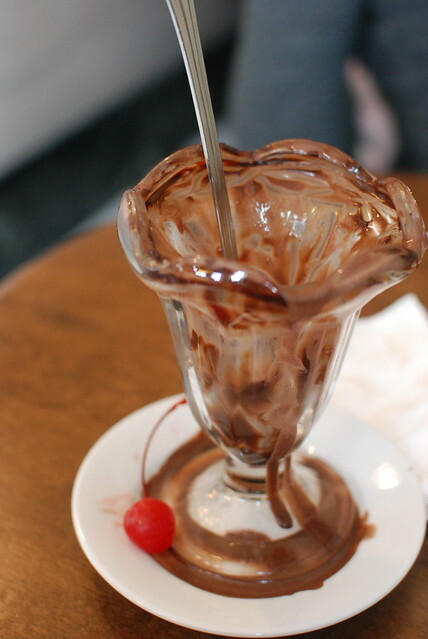 I can't get over how delicious all of those sundaes looked! I'm on the wrong coast, but if I'm ever back east, I'm there. I'm a new follower from the blog hop! Come visit me back!